Jason Markk introduces two new products, encouraging users to "travel clean." When you spend your hard-earned money on sneakers, it's a good idea to keep 'em clean, even when you're travelling. 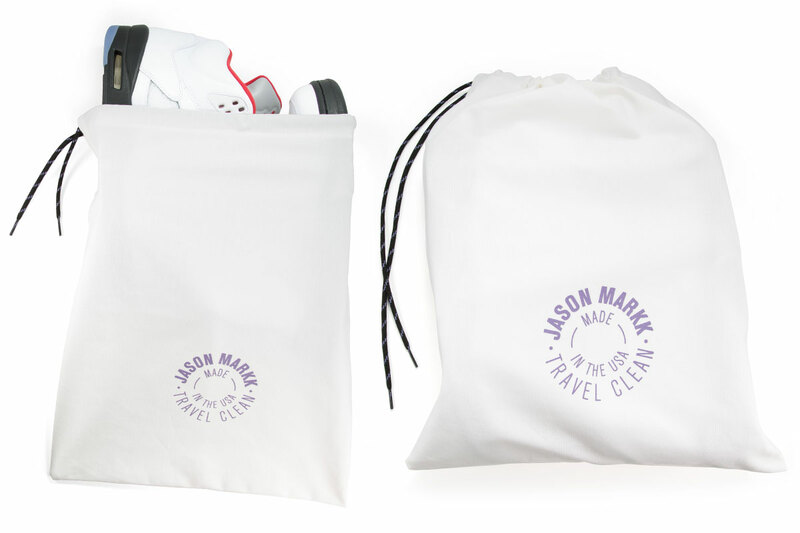 Earlier today, Jason Markk introduced two new products for all of the road warriors out there, releasing the Travel Pouch and Travel Shoe Bag, encouraging users to "travel clean." The Travel Pouch, retailing for $12, features a two ounce bottle and clear casing made to meet TSA specifications. The 100% cotton Travel Bag, retailing for $15, is made in Los Angeles and fits up to a size 16 shoe. The Travel Pouch is available now at Jason Markk retailers, while the Travel Bag is an online exclusive available now at JasonMarkk.com.